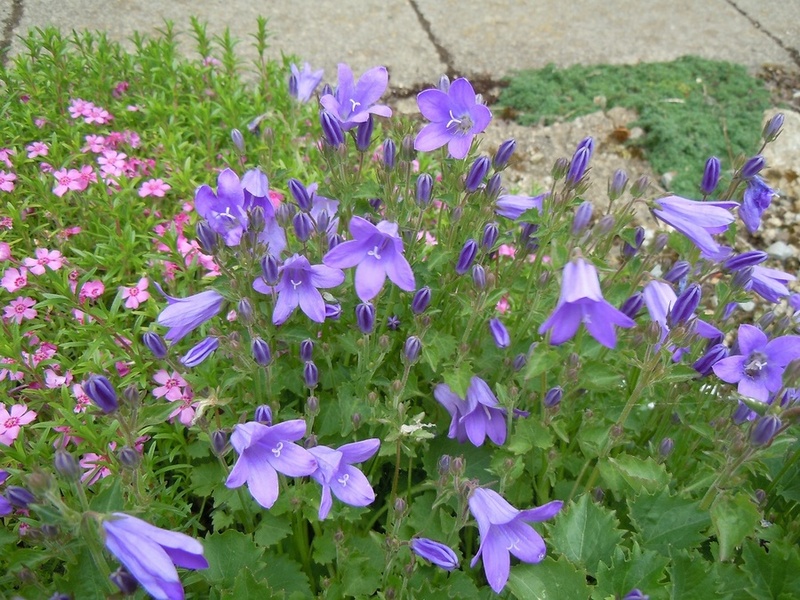 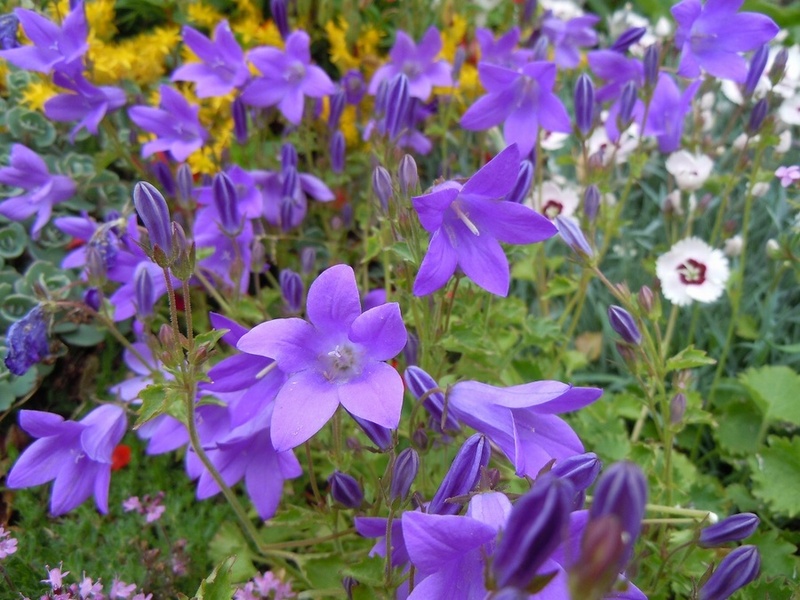 Masses of blue bell shaped flowers in late Spring above neat, trailing, spreading leaves, ht 10cm. Easily grown in most sunny sites. 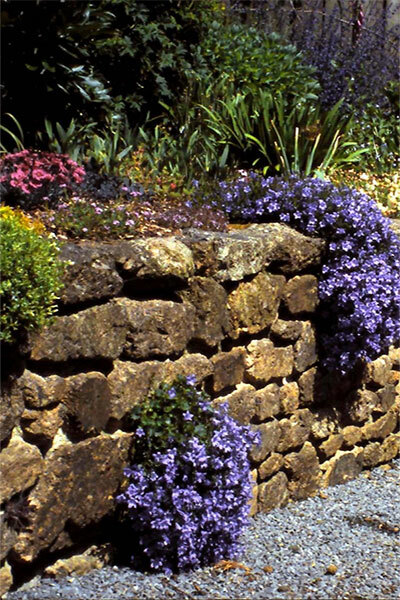 Great for trailing down walls and banks, or growing between rock crevices.